Celebrate with us the opening of the Leica Store in Milan. 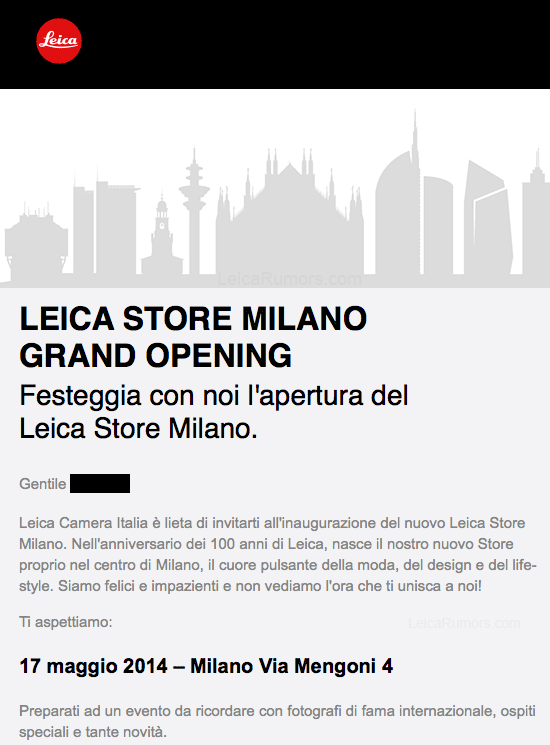 Italy Leica Camera is pleased to invite you to the inauguration of the new Leica Store in Milan. On the anniversary of 100 years of Leica, comes our new store right in the center of Milan, the heart of fashion, design and life-style. We are happy and eager and we look forward to you joining us! Get ready for an event to remember with internationally renowned photographers, special guests and many new features.